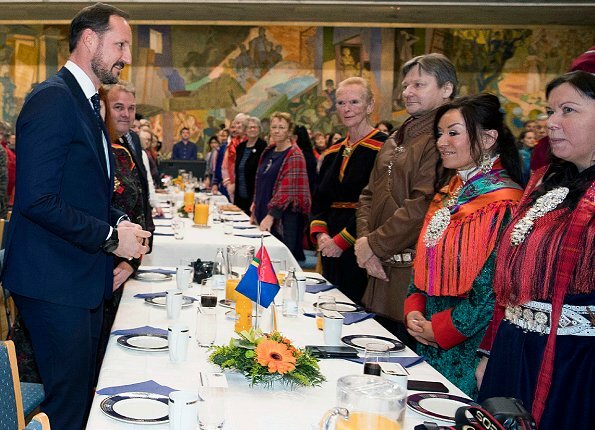 On February 6, 2019, Queen Sonja and Crown Prince Haakon attended the Sámi National Day 2019 celebrations held at Oslo City Hall. 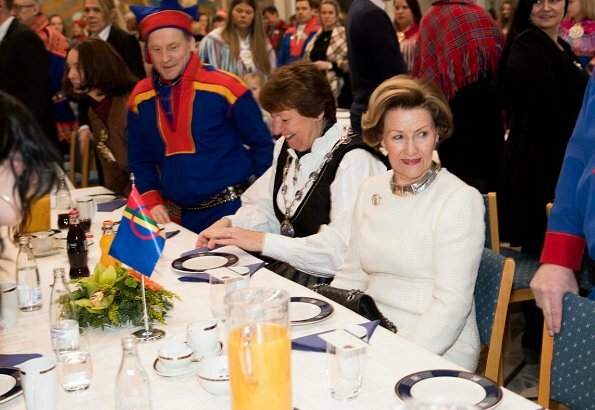 The Sámi National Day is celebrated on February 6 every year as an ethnic national day for the Sami people. 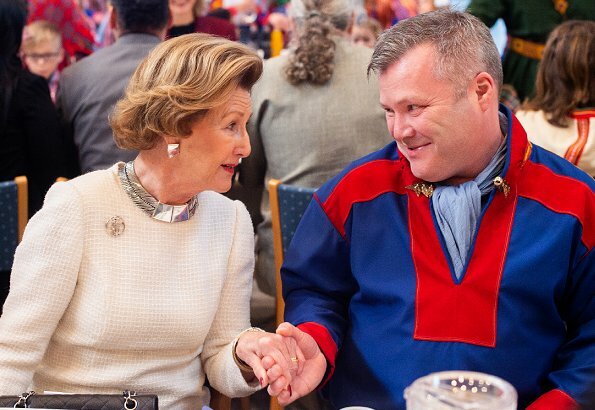 Since 1993, the Sami National Day has been celebrated in the four countries where the Sami people live. 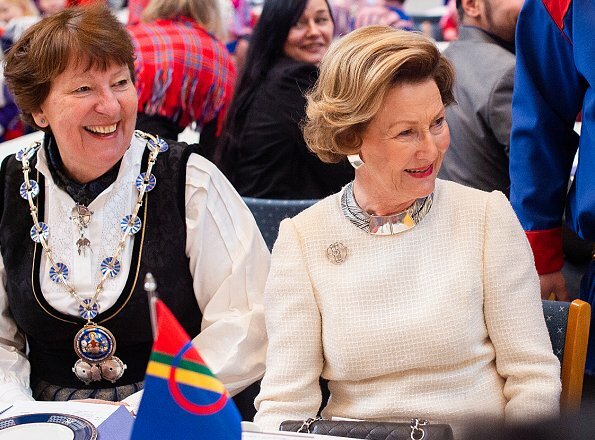 The day is official flag-flying day in Norway since 2004, and several government buildings hoisted the flag of the Sami together with the Norwegian flag. 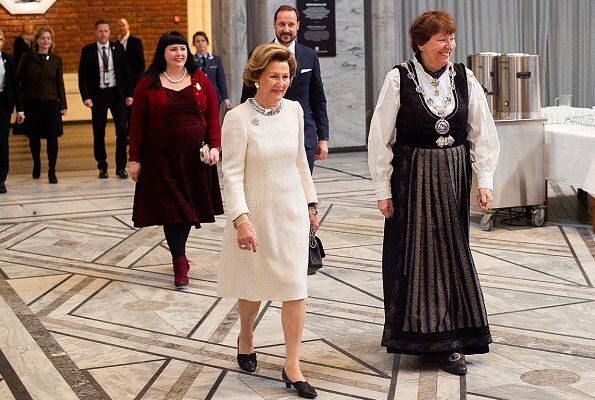 The queen looks so much better in this dress than in the one with the peplum that she wore about a week ago. The fit on this dress is perfect and the fabric is beautiful. It would work well with many different accessories. 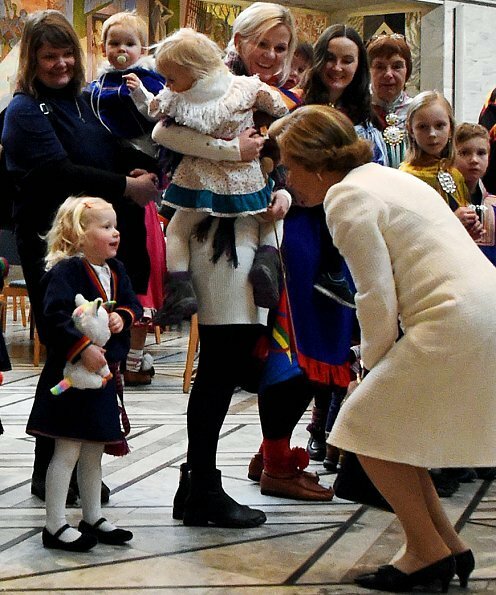 The solid white is quite a contrast with the Sami costume - she really stands out! For some reason I think she looks like she isn't feeling very well lately. I hope that isn't true. She looks stunning .... except I am not a fan of the shoes. 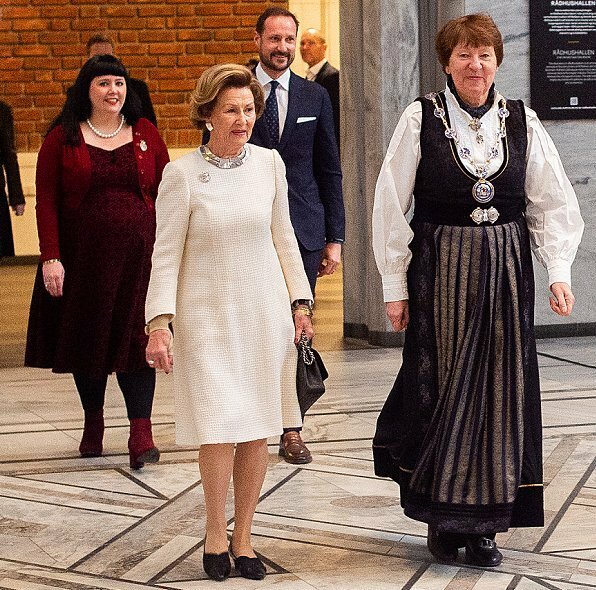 A low-heeled plain black suede pump would have made this outfit even better.